(FOR IMMEDIATE RELEASE – New York, NY) Volunteers of America – Greater New York (VOA-GNY) is proud to announce that its Creston Avenue Residence has been named “Residence of the Year” by the Supportive Housing Network of New York (the Network). The award was presented on October 18, 2017 at the Network’s 2017 Awards Gala which took place at Capitale in Lower Manhattan. The Supportive Housing Network of New York is a membership organization representing 200 nonprofit organizations that have collectively created more than 50,000 units of supportive housing across New York State. 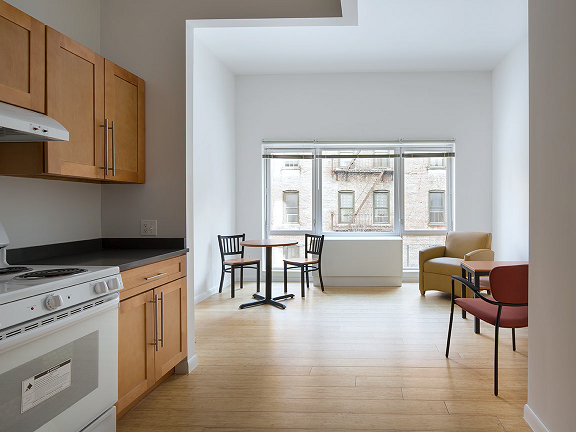 Located in the South Fordham section of the Bronx, Creston Avenue Residence provides safe, permanent, supportive housing and services to some of New York City’s most vulnerable citizens, including formerly homeless families and single adults. The building also provides transitional housing to homeless veterans and 16 units are set aside, through a lottery system, for low-income families from the community. In total, there are 66 apartments. 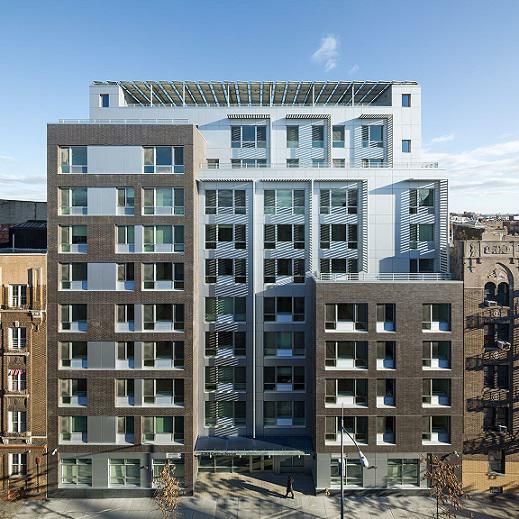 The 62,535-square foot LEED Platinum-certified building is a welcoming place and offers 24-hour security, rooftop gardens, a backyard play area and community space for special events. A first-floor suite of offices provides tenants a comfortable place to meet with social service professionals. A truly integrated residence, all tenants are encouraged to take advantage of referral services for health, mental health and employment, and periodic workshops on daily living skills. Recreational services, including after-school activities for young children and homework help for students, are provided daily. Special events, year round, provide a true sense of community for all residents. High-quality construction materials plus state-of-the-art systems provide improved air and water quality, while saving energy and reducing costs. Creston Avenue Residence opened in 2015. Development partners included Robert Sanborn and Volunteers of America - Greater New York. The building was designed by Magnusson Architecture and Planning (MAP). Fernando Villa served as project architect. DePaul's Carriage Factory Apartments in Rochester, NY is also being recognized by the Network as a Residence of the Year.